The project was developed by CFI and ESJ to round off the palette of services to young professionals and students of journalism (The project). Design and development was handled by Yves Renard, journalist and director of the Development Department for France and Abroad at ESJ Lille and Laurent Allary, Special Advisor to the Managing Director at CFI. The website was developed by the agency La Confiserie and coordinated by Julien Gueit, New Media Manager at CFI. Alain ROLLAT has been a professional journalist for over 49 years. He began his career in 1963 in Montpellier, working for daily Midi Libre. A writer in Montpellier, Carcassonne, Perpignan and Paris, in 1977, he started working for the political department of Le Monde, of which he became the co-head before heading in 1992, the Media section (that he created himself), till, having become a managing editor and editorialist, he became part of the general management as vice CEO of the company. As such he headed the daily Centre Presse in Aveyron before voluntarily leaving Le Monde in 2001. 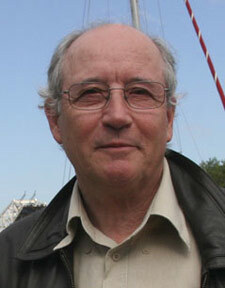 In March 2006, he created La Gazette de Sète. Nowadays he’s a project manager or ESJ International. Alain Rollat also wrote a dozen books. Nowadays a senior journalist and worldwide trainer for ESJ international and other organisms such as the Panos Paris institute, the GRET or [Est-Ouest consulting], he conducted over 60 missions in 25 countries as part of support programs to the media in countries in crisis (Africa, Asia, Eastern Europe). For the ESJ, he has been since 2010 a thesis tutor for the Global Media Master co-headed by the IAE, the Ecole Universitaire de Management (Lille 2 University), the third year of which just started with Southern countries candidates. Before that he worked over 20 years for Radio France as a reporter or news anchor for France Inter and France Info and as a manager in the local radio network France Bleu (thrice chief editor and twice director). He directed many radio documentaries and also directs video documentaries. “24 hours in the life of a radio newsroom” was written thanks to the help of Yves Renard, head of ESJ international, and Pierre Savary, dean of the ESJ Lille. We used our personal experience as journalists and managers to translate in simple words the basic principles and techniques of radio journalism. At 41, David has seen the first steps of the Internet revolution in the media world and knows that it is only beginning. After studies of philosophy and political sciences in Grenoble (French Alps), David took the two-year professional master of the Lille School of Journalism. David then started to work for the French public broadcaster Radio France Internationale (RFI). From 1996 to 2007, he did almost anything an international radio can offer to a journalist, starting with reports on the field, to short and long presentation of various news programs, up to long-term investigation on the French-African trails. Oil scandals, arms trafficking and numbers of political stories have led him to work on the French implication in the Rwandan genocide, which was written in the book A Black War in 2007. On May 6, 2007, as the French voted Nicolas Sarkozy in office, David and a small team – including former reporters from the daily Libération – launched the first French pure-player, Rue89.com. In a very innovative move at the time, they built a broad community of contributors alongside journalists. David was in charge of investigative journalism. As he covered mostly finance and the economy, he wrote another, collective book, The Hidden Story of the Employers, in 2009. Didier Desormeaux is a chief editor and head of the News and Multi-Media Editions Department at the France Télévisions University. He has a Ph.D in Information and Communication Sciences. 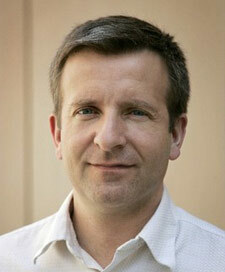 He designs and leads the advanced courses for executives and journalists at France-Télévisions. He handles international development assignments for TV channels in Asia, Africa and the Middle East for Canal France International and in Eastern Europe for Circom (Professional Association of Regional Public Service Television in Europe). He is the Chairman of FORTEF (an association of training managers for French-language radios and TV channels). In this capacity he is experimenting new methods for news reports (using digital and 3D cameras). Brigitte Besse is Director of Studies at the Bordeaux Aquitaine Institute of Journalism (IJBA), in charge of television. With a Ph.D in linguistics and semiology, she specialises in pitching and text-picture balance. She leads critical viewing sessions and writing workshops for TF1, France Télévisions, Radio-France, RTBF (the French-language Belgian broadcasting corporation), RTS (the Swiss broadcasting corporation) and INA (the French audiovisual institute). She conducts training assignments on TV reports for CFI (in Sri Lanka, Bangladesh and Ghana). At Sémionautes Associés, a media analyst agency she founded in 2002 with Eric Macé, she conducts socio-semiological research, especially for the CSA (the French audiovisual regulatory body) and the Council of Europe’s MARS (Media Against Racism in Sport) programme. Brigitte Besse and Didier Désormeaux co-authored Construire le reportage télévisé, published in 1997. The English translation, Television News Reporting, sponsored by the European Parliament was published in 2003, subsequently translated into Russian in 2004 with the support of the European Union and distributed by Internews. The fourth French edition, Construire le reportage télévisé-multisupport, was published in 2011 by Victoires Editions. 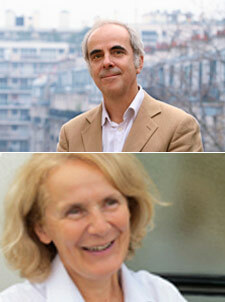 With Hervé Brusini, Brigitte Besse and Didier Désormeaux co-authored the Abécédaire de France 3 (ABC of France 3) published in 2008.